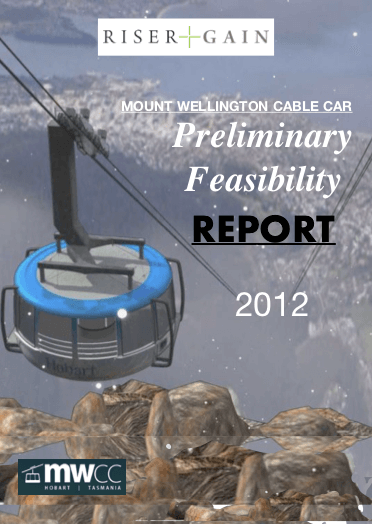 The closest the public has come seeing the cable "Proposal": its cover being posed to the media in 2017. 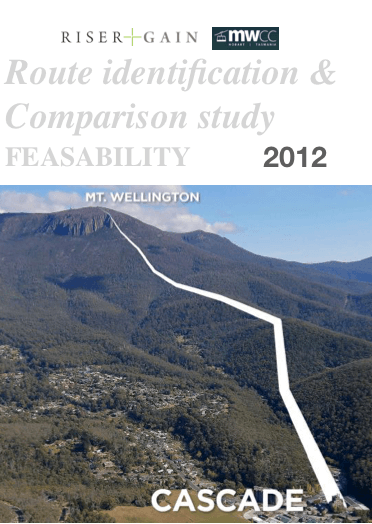 The Mount Wellington cable car company makes a show of offering document downloads, but only four government ministers and a handful of senior bureaucrats have seen the crucial documents that underpin the proposal. If you have a complete copy of any of the undisclosed documents mocked-up below, or can obtain a copy, it would be in the public interest for you to offer them to the public. 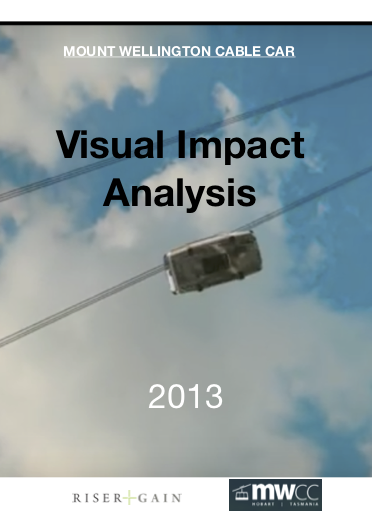 Note: The covers shown below are mock-ups, but each report has been referred to by the MWCC. 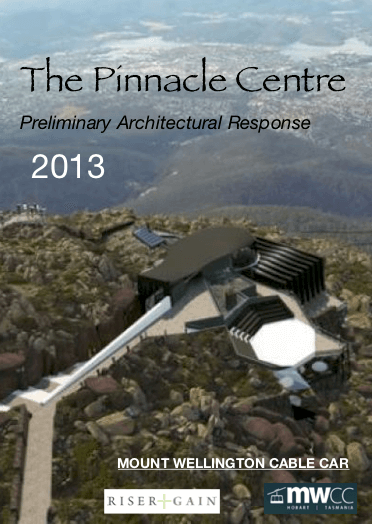 "A study of all plausible alternatives: research, parameters, possibilities and preliminary feasibility"
REPORT NOT RELEASED Only half a dozen images have been released.